As the 1950s were coming to a close and Volkswagen was establishing itself as a world-class automaker, it became clear that it would need to introduce a new, larger car to supplement the Beetle, Transporter and Type I Karmann Ghia. Especially in its home market, VW was beginning to feel competition from larger, more luxurious American imports. Volkswagen's answer? The VW 1500, also known as the Type III. "Volkswagen is, according to well founded sources, going to build a car somewhat along the lines of the new [Austin] A-40 in addition to the regular line of beetles and transporters." In early 1961, VW officially announced that a new model line was on the way. VW released photos to the press--along with the name "VW1500"--but little else. Here's one of those photos. 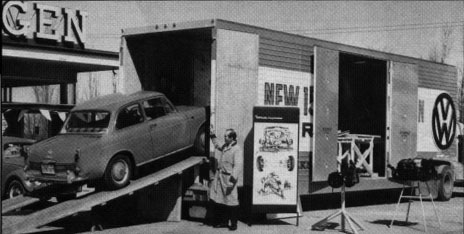 The public's first glimpse of the VW1500. These first photos created more questions than they answered. Upon close inspection, it was evident that the photos had been retouched. What would the car really look like? Precious little technical information was released; was the engine in the front or in the rear? What type of suspension was used? 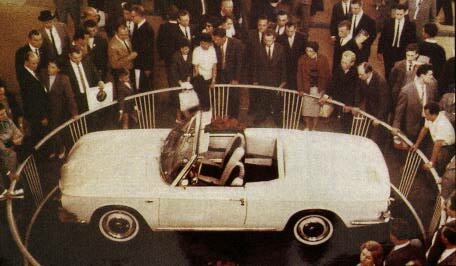 Rumors abounded about a 4-door model, and a flatter engine with a cooling fan mounted flat over the top of the engine as in a Corvair. But were all of the rumors true? 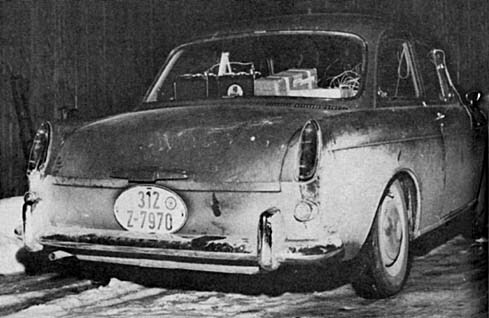 One publication, "Motor Trend," did get an early scoop on the new Volkswagen by catching an unmarked prototype undergoing testing in snow-covered Sweden in early 1961. 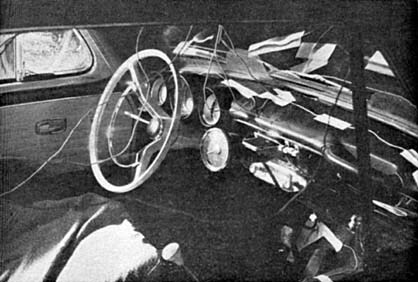 Note the tape, wires and instrumentation strewn about the car. The white steering wheel was dropped in the production models, as was the chrome strip along the top edge of the door panels. Front view. Interior. Rear view. The public's first glimpse of the VW Variant. Interestingly, the Type III wasn't officially introduced to the U.S. until late 1965, and the 1500 Sedan (Notchback) was never officially imported to the U.S. (Tell that to my friend Wally Izumi back home in California, who bought a '64 Notch brand new from a VW dealer...!) A number of grey-market 1500s found their way to U.S. shores before their official intro, but VW of America wasn't equipped to service them until late 1965. It was a combination of the enormous expense of supplying and training the vast U.S. dealer network and the hefty price tag for the cars themselves that delayed their official release in the U.S. VW did send the 1500 to Canada early on. Many of the Notchback sedans that can be found in the U.S. today made their way in through Canada. VW sends the new 1500 on tour, Canada 1962. In 1965, VW added the Fastback (1600TL) to the 1966 model year line up and the new 1600cc engine became available for the existing models. For more details on model-year changes, see the Special Features section. The stylish fastback, last TIII model to join the fleet. Paralleling the development of the Beetle/Type 14 Karmann Ghia cousins, VW had Carrozeria Ghia draw up designs for a sporty Type III. A convertible version of the T34 was unveiled at the 1961 Frankfurt auto show, but it never saw production. For more T34 info, see Variations on a Theme in this document, the Type 34 Karmann Ghia Registry, or the Karmann Ghia home Page. 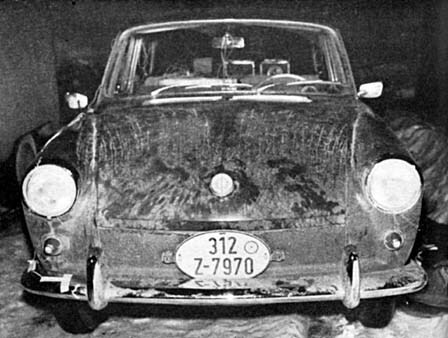 The "regular" VW Type III 1500 convertible was also stillborn. Only a few were built, one of which is on display at the VW museum in Germany. Make mine red, please. :-) For more information on Type III convertibles, visit Big Al. Notable landmarks in Type III production include a major facelift for the 1970 models and an option for a fully automatic transmission beginning in the 1968 model year. Perhaps the most important impact that the Type III had on the development of the automobile was the introduction of electronic fuel injection in the '68s. While fuel injection certainly existed before this date, it had never before appeared on a mass-produced "economy" car. 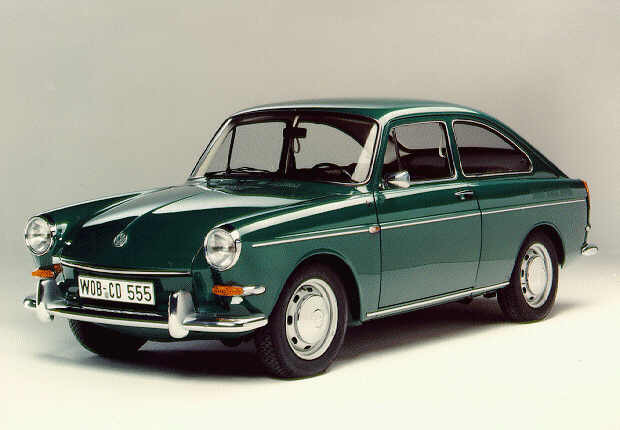 VW ended production of the Type III with the 1973 model year. Total Type III production is a bit over the 2 million mark, but it's difficult to get accurate total counts. Aaron Britcher has provided the most reliable list of production totals that I've seen. For details on technical points and model changes through the years, hop back to the table of contents and have a look at the "features" and "mechanical" sections.